We have been dazzled time and time again by Rachel Osguthorpe’s floral designs. Her artistic take on her floral creations brings a romantic touch to any event. Naturally, we had to learn more about her and what inspires her! I’m from Salt Lake City, born and raised, and have always lived within a six mile radius of the house that I grew up in! Jolleys Gift and Floral is just down the street from my parents house. I would go there often as a kid, and always dreamed of working there because it was such a cute neighborhood boutique! Eleven years later I’m still livin’ the dream, which is pretty rare for this day and age! I currently live downtown in the most perfect 1920’s little one bedroom red brick apartment, that I LOVE! 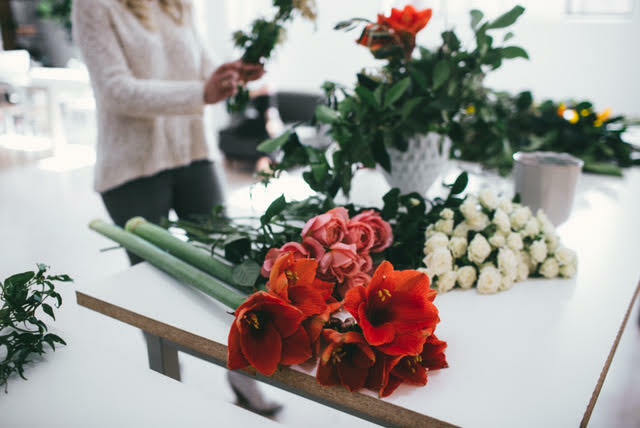 What got you started in floral design? I was able to learn from the other florists who have worked at Jolleys over the years. Their encouragement, support, and talent gave me a great start! I feel like I’ve always had an eye for design and I love the sense of accomplishment that comes from creating. I also have a background in interior design which has contributed largely to my work as a florist. Are you solely based in Utah or are you available for travel? Definitely available for travel! 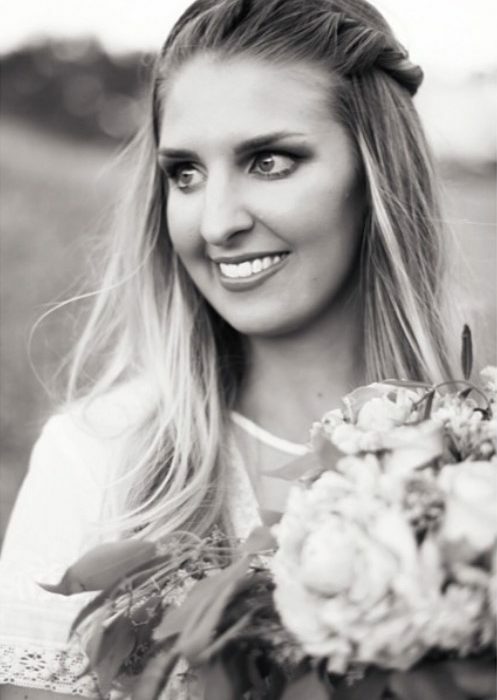 Some of my favorite weddings and photo shoots have taken place outside of Utah. This past fall I got to do flowers for a beautiful wedding in New York City on the roof of an amazing loft with an incredible view of the city! And I recently did a bridal photo shoot in Joshua Tree, California with the perfect desert background. I love to travel, new surroundings are very inspiring to me! 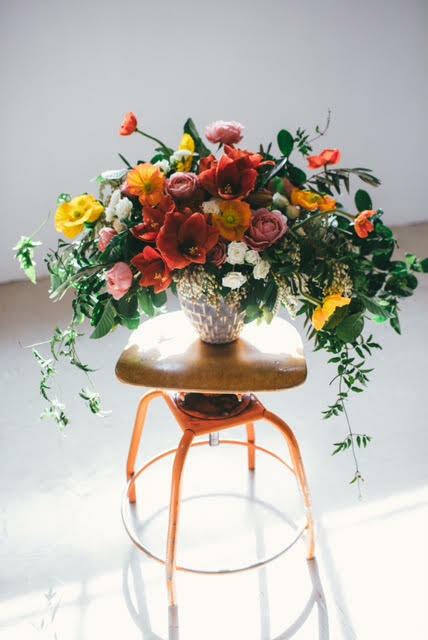 What are your favorite florals to design with and why? I love working with such a beautiful, colorful, unique, natural and fragile medium. Although, roses have become a staple for almost all florists they are probably my favorite. Maybe it’s because my Mom and Grandmas always grew many varieties of them in their gardens, but also because of the color, texture and statement that they bring to any arrangement. Along with trailing greens and springy blooming branches that give dimension and texture to every arrangement. I’m truly amazed by the variety of this medium! I just love flowers, it’s hard to narrow it down! I’m a very visual person and am a lover beautiful things. I love finding the beauty in things around me, whether that be in nature, in the seasons changing, in fashion, in interacting with other creatives, or individuals unique styles, it is really in the little things. And also in the way that people respond to what I create, that’s a great source of inspiration to me! 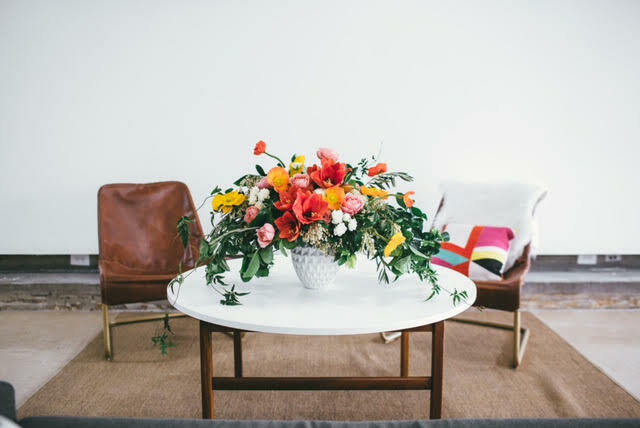 What are your favorite types of events to design florals for? I LOVE designing for photo shoots! Having the freedom to come up with something new and different in collaboration with other creatives to produce something visual for our audience to see, is thrilling for me! Where do you see your creations in the future? I never want to stop designing, it really is a part of me! I would love to continue to explore my creativity with photo shoots, there is something so rewarding about seeing your work get published or printed!